Religious Easter Cross Digi Stamps: Great Resources for Church Events and More! Easter is a favorite holiday of mine, and I am sure I'm not alone. This is the time when families get together for dinners, egg hunts, and other activities. This is also the time that churches celebrate the rising of Jesus. If your church is having a celebration, you may be looking to create personal invitations, and these digi stamps will work great. You may also want to create greeting cards – the Easter cross digi stamps in this guide will work great with those too. Continue reading to see if one of the cross digi stamps in this guide is something you would like to use with your DTP project. You can view each digi stamp by using the links in the references section at the end of this guide. The first item in our list of Easter cross digi stamps is simply known as Easter Cross. It has a simple name, but don't let that fool you. 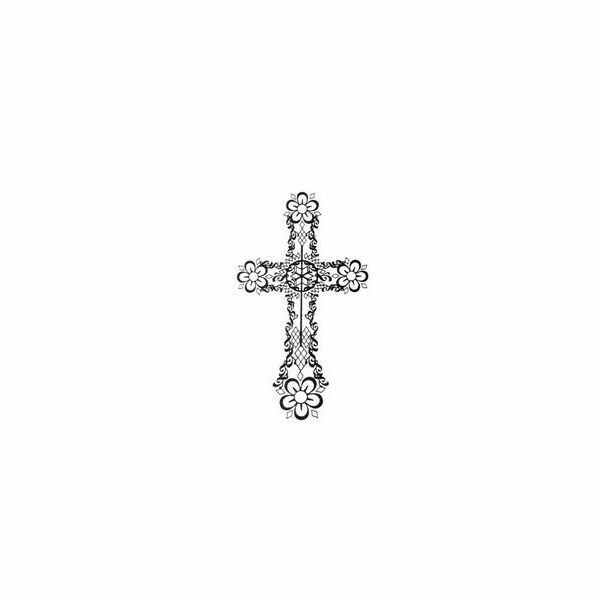 It is a very beautiful cross and once colors are added, it will be even more beautiful than the black and white version. Easter Cross would most definitely look wonderful on a church bulletin. You could blow it up a little in size by using a graphics editor and then use it as the front cover of a bulletin. You can open the image using the link at the end of this article to get a larger view of it and see the detailed work. The next digi stamp in this list is also known as Easter Cross. These two crosses are totally different in design though. This is a fancy cross with lilies wrapped around it and a flower in the center of the cross. I think this digi stamp would look really great on church flyers and event invitations. To get an idea of how it will look once it is colored, use the link in the resource section. It is beautiful in black and white, but it is amazing once it is colored. 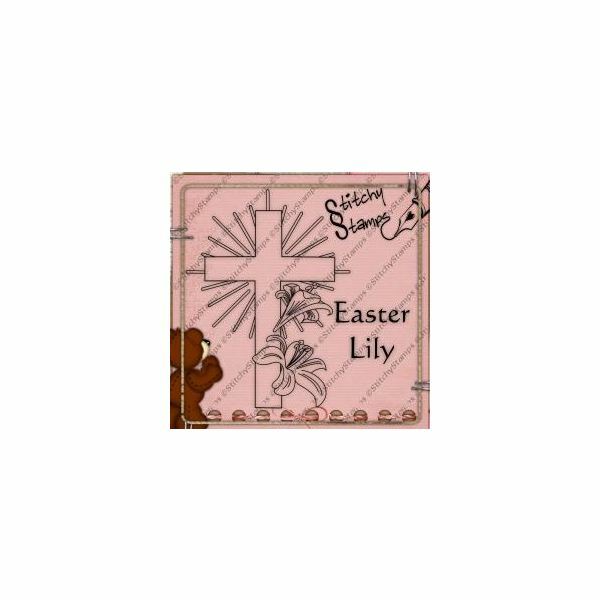 Next on our list is the Easter Lily cross digi stamp. 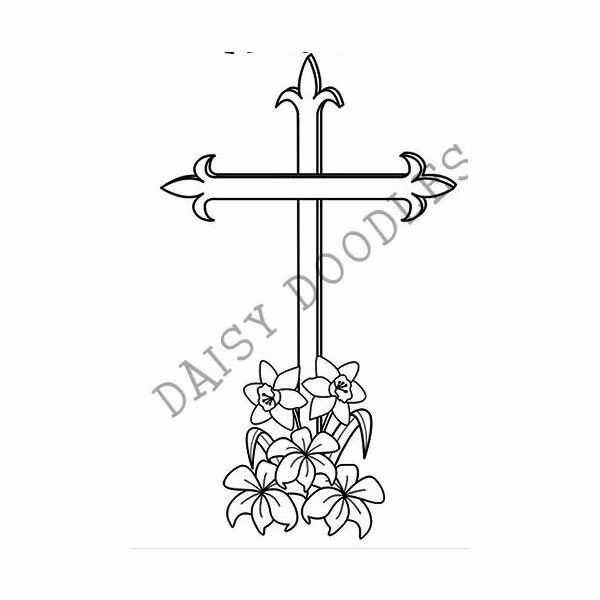 This cross digi stamp is a little less detailed than the first two crosses, but it is just as beautiful. This cross would look really nice on the front of a church bulletin, church flyer, invitation, or a greeting card. It is just one of those stamps that would go great with anything. Coloring the stamp will be real easy because it is simple and not full of detail. 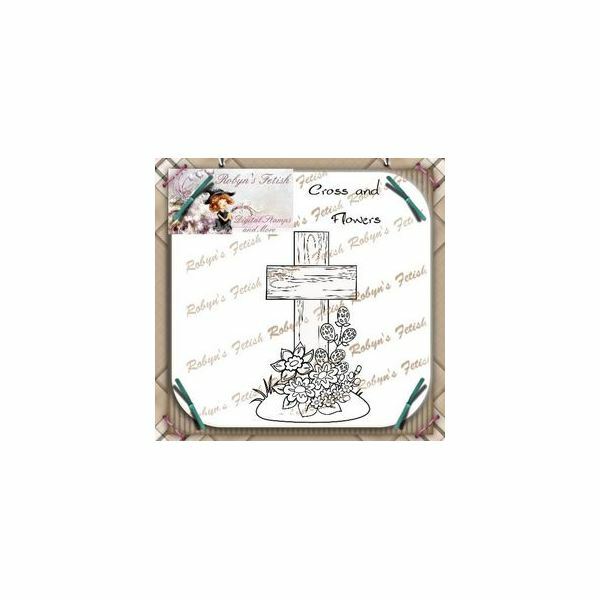 Cross and Flowers is the fourth digi stamp in this list. Here we have a wooden cross with beautiful flowers at the base of the cross. The cross has enough detail to make it look like a wooden cross and the flowers at the base will look really nice once you have colored them in. I think this cross digi stamp would work best for greeting cards. It just doesn't appear to be a stamp that would look right on a bulletin. Of course, if that is what you are going for, you can create your bulletin and try it. Sometimes, things look different once you have put all the pieces together. 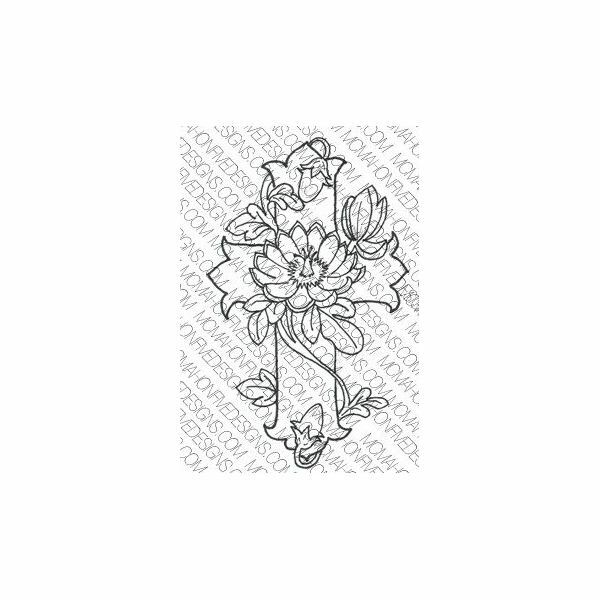 We have now come to the last cross digi stamp in this list, which is the Floral Cross. This is a beautiful cross that will look a lot better once it is colored in. Using bright colors will really make this cross stand out. The cross stamp would work on any project you have in mind. If you are considering using it for the front cover of church bulletins, you may need to resize it to make it larger, but it would work great with any design.